Kathe Shaw-Bassett is an executive coach and organizational consultant with over twenty years of experience in business development for professional services firms and nonprofits. Kathe has coached CEOs, nonprofit leaders, and business teams to build enduring relationships and thrive even when markets, expectations, and budgets change. 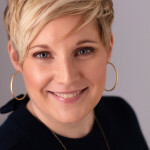 Known as a dynamic, engaging coach and facilitator, Kathe helps people consistently and collaboratively discover fresh perspective and generate practical solutions. As a VP in financial services, Kathe led regional sales teams through bank mergers and times of market stress, helping teams optimize performance in challenging conditions. She now serves clients navigating transition by helping to develop resilience, increase emotional intelligence and leverage strengths through executive and group coaching programs. Kathe has worked with individuals from across the globe as a coach at the Harvard Business School Executive Education program, counseling executives on issues of leadership, teamwork, career planning and work-life balance. She believes in helping clients focus on communication, action and ways of operating as a whole person and as a leader. Kathe holds a BA in Planning, Public Policy, and Management from the University of Oregon. She is certified as an Integral Coach through New Ventures West and as a facilitator of Integrity Selling, Insights Discovery and Immunity to Change. Kathe cultivates work-life balance through running, yoga, gardening, and meditation. She is married and has a son and a daughter. 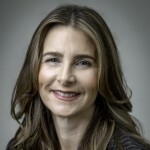 Stacy Blake-Beard is Deloitte Ellen Gabriel Professor of Women and Leadership and Senior Faculty Affiliate, Center for Gender in Organizations at the Simmons College School of Management where she teaches organizational behavior. Dr. Blake-Beard has also been visiting faculty at the Indian School of Business in Hyderabad, India and at the Lorry I. Lokey Graduate School of Business at Mills College in Oakland, CA (USA). At both institutions, she taught an elective on Gender, Diversity and Leadership. Dr. Blake-Beard brings her deep expertise in mentoring, diversity and inclusion to Seven Stones as a senior advisor. Prior to joining Simmons, Dr. Blake-Beard was faculty at the Harvard University Graduate School of Education. She has also worked in sales and marketing at Procter & Gamble and in the corporate human resources department at Xerox. Dr. Blake-Beard holds a BS in Psychology from the University of Maryland at College Park and an MA and a Ph.D. in Organizational Psychology from the University of Michigan. Dr. Blake-Beard’s research focuses on the challenges and opportunities offered by mentoring relationships, with a focus on how these relationships may be changing as a result of increasing workforce diversity. She is particularly interested in the issues women face as they develop mentoring relationships. She also studies the dynamics of formal mentoring programs in both corporate and educational settings. Dr. Blake-Beard has published research on gender, diversity, and mentoring in several publications including the Journal of Career Development, the Academy of Management Executive, the Psychology of Women Quarterly, Journal of Management Development, the Journal of Business Ethics, Human Resource Management Journal, Journal of Management Education, and The Diversity Factor. She is co-editor of a volume focused on women’s careers (Handbook of Research on Promoting Women’s Careers). She is also the recipient of a Fulbright Award, which was awarded to support her project, entitled “Systems of Sustenance and Support: Exploring the Impact of Mentoring on the Career Experiences of Indian Women,” in partnership with the Center for Leadership, Innovation and Change at the Indian School of Business in Hyderabad, India. 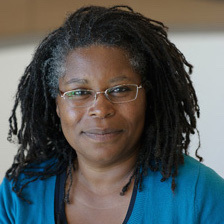 Dr. Blake-Beard sits on the advisory board of a number of organizations, including MentorNet, Teen Voices, the Harvard Project on Tenure, and the Harvard Medical School Center for the Study of Diversity in Science. Dr. Blake-Beard has been the recipient of numerous grants and fellowships, including awards from the National Science Foundation, the Ford Foundation and the Robert Toigo Foundation. She has given seminars for and consulted on a wide range of topics, including effectively leveraging diversity, implementing formal mentoring programs, gender and leadership, bystander awareness training, unconscious bias, managing visibility, career action planning and team-building. Organizations with which she has consulted include Infosys, EMC, Hewlett Packard, Jobs for the Future, The Partnership, IBM, Cisco, The Robert Toigo Foundation, Bank of America, Chase Manhattan Bank, PricewaterhouseCoopers, Swissotel, PepsiCo, Goldman Sachs, Intel, Linkage, AstraZeneca, Eli Lilly, Boston Chamber of Commerce, The Conference Board, Massachusetts General Hospital, Brigham and Women’s Hospital, Cambridge Hospital, Boston University, Connecticut College, University of Connecticut, University of Michigan, University of Texas, University of California, Harvard University, Boston Public School District, The PhD Project, The Compact for Faculty Diversity, New Leaders for New Schools and Working Mother Media. Sara Den Besten is a coach and advisor at Seven Stones Leadership Group. As a seasoned executive coach and organization development consultant, Sara partners with individuals and organizations to enable them to achieve meaningful and sustainable results. She draws directly on her corporate experience as a senior member of a global management team and head of a leadership and organization development practice. Sara has a lifelong passion for unleashing the best in people and catalyzing their collective excellence within organizations. As a world-champion athlete, she employs a multidisciplinary approach to high performance in working with people, teams and organizations. At Genzyme Corporation, Sara drove leadership and organization development strategy from design to implementation. Sara transformed employee development from ad hoc employee lead development to an annual people development strategy that was integrated within the business plans and practices. She created a management education strategy and corresponding programs resulting in improved management and leadership skills across the leadership pipeline. 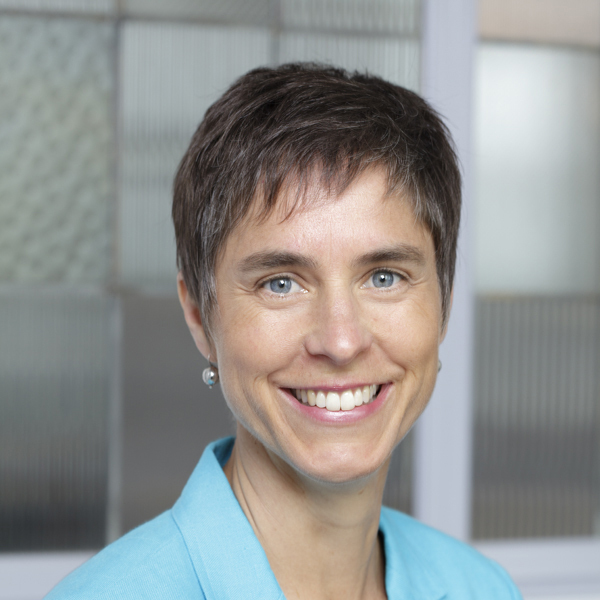 Sara also designed and led an organizational culture change that articulated, aligned and embedded Genzyme’s 5-year Customer Success business strategy. With a creative and collaborative approach, Sara has designed and facilitated interventions for over 60 global, cross-functional teams that improved group dynamics, work processes and productivity. Her ability to be highly strategic, practical and customer-focused has enabled her to effectively rollout new talent and performance management processes. She is also known as an excellent group facilitator with a natural ability to cultivate rich dialogue and results. Christine Connors joins Seven Stones Leadership as an executive coach and organizational consultant with over 30 years of leadership experience in the Human Resources, OD and Leadership fields. Christine has supported a wide variety of mission-driven organizations such as WGBH, Education Development Center, Abt Associates and Berklee College of Music. In her most recent role at Berklee, Christine was responsible for managing both the human resources and diversity and inclusion teams (HRDI) to create a working and learning environment that fostered creativity, diversity, collaboration and innovation. Through a wide variety of services and initiatives, Christine and her teams worked with all areas across the college to recruit, develop and retain a diverse and exceptional faculty and staff. Throughout her career, Christine coached and mentored a wide variety of leaders through both one-on-one coaching as well as the development and implementation of leadership development programs. Christine is certified in the administration and interpretation of the Leadership Circle 360° tool. Christine received an MBA with distinction from Bentley University and a B.S. in Business Administration from Stonehill College. She is also certified as a Senior Professional in Human Resources (SPHR). She lives in Medford, MA with her wife, Bev, and their dog Tallulah. In her spare time, she loves music, nature, hiking and reading. Julie has over 25 years of experience as an organizational development consultant, executive coach, facilitator, trainer and researcher. Julie works with executives and managers helping them be more resourceful and grounded as they meet and navigate the ever-changing, fast-moving, and often challenging and uncertain circumstances of their work and personal lives through cultivating a strong foundation of resilience, courage, sensitivity and presence. A special focus of Julie’s practice is her work with leaders and teams in the nonprofit, public and corporate sectors who are working in service of a more just, peaceful and sustainable world. Julie is on the faculty of New Ventures West, an International Coaching Federation-accredited coaching school, where she trains coaches in the Integral Coaching methodology. Julie is also designated as a “social entrepreneur catalyst” at the Lewis Institute at Babson College, a center for facilitating students and alumni in their commitment to use business as a vehicle for social innovation. 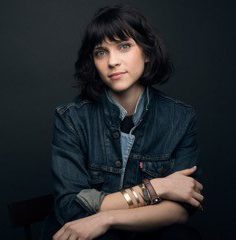 She is also a faculty-member in the MFA in Design for Social Innovation at the School of Visual Arts. 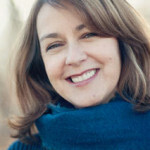 Julie has been a featured blogger on the Skoll Foundation-sponsored website for social entrepreneurs, Social Edge.Prior to launching her own consulting practice, Julie was a Senior Research Associate, consultant and faculty member at the Boston College Center for Corporate Citizenship. She supported and conducted applied research on executives and managers catalyzing their organizations toward more responsible and sustainable business practices. Julie provided consultation, one-on-one coaching, and facilitated a peer-to-peer learning network of corporate responsibility executives from fourteen Fortune 500 companies. 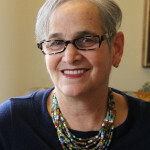 Julie has authored or co-authored several reports and articles based on her research, including Integration: Critical Link for Corporate Citizenship and “Leading from the Middle”, in the book, Global Challenges in Responsible Business, a volume in the Cambridge Companions to Management series.Julie has a Bachelor of Fine Arts from Tufts University and an M.A. and Ph.D. in Sociology from Boston College, where she focused her studies on political and cultural sociology. Her dissertation was published by New York University Press as a book, Talking Trash: The Cultural Politics of Daytime TV Talk Shows. 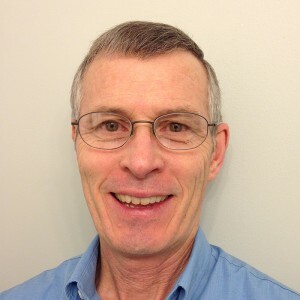 Larry Foresman is a leadership coach and advisor at Seven Stones Leadership Group. He is focused on working with individuals on their personal journeys of leadership and transition. He brings a big heart, respect and integrity to all of his work. Larry has coached executives, managers and technical leaders in developing their leadership presence to produce sustainable results in an environment requiring new skills, changing roles and organizational direction. Larry is certified as a Somatic coach by The Strozzi Institute for Leadership and Mastery. He holds a Doctorate from Kansas State University and a BA from the University of Kansas, and claims more than 25 years of progressive leadership experience within academic research and pharmaceutical industry research and development. Through his journey of embodied leadership learning, he experienced a personal transformation and has a passion for embodied learning to bring about sustainable change. By blending his scientific training and corporate experience with the art of somatic coaching and embodied learning, he applies his unique skill set in the service of other leaders. After retiring from corporate work, Larry transitioned into leadership coaching and joined Seven Stones Leadership Group. He is is married and has two adult children. Anne Gottlieb coaches and teaches dynamic presentation and presence skills for numerous organizations nationally and internationally. She has consulted to Fortune 500 companies as well as designed and led courses for a broad range of corporate clients and training organizations. Her programs have been offered to executives, emerging leaders and senior management professionals at Young President’s Organization, FINRA, The Center for Meaningful Leadership, Omega Institute, Brandeis University, Cambridge Associates, Integrative Life Practices, the Georgetown Leadership conference as well as governmental agencies and numerous non-profit organizations. She is a senior teacher for Seven Stones Leadership, Integrative Life Practices and the Director of Presence and Presentation work for Mobius Executive Leadership. 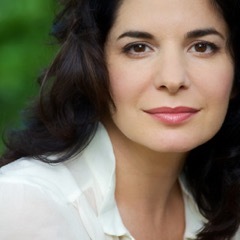 Her programs combine a wide range of disciplines that draw on theatre techniques learned in her nearly 20 years working professionally as an actor, director and voice teacher. Anne’s background has equipped her with a rare combination of tools for helping clients overcome their obstacles and achieve remarkable results. 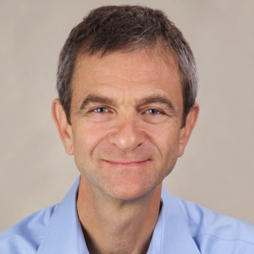 Ed Gurowitz, PhD is a senior coach and advisor at Seven Stones Leadership Group. 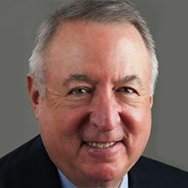 He has spent over 35 years on the front lines of organizational change, partnering with executives, entrepreneurs and organizations to provide training and consulting in leadership, communication, collaboration and organizational effectiveness. His approach includes executive coaching, consulting, and designing and delivering programs. He has consulted to organizations ranging from Fortune 100 companies to startups and non-profits. Ed has served as a contract executive in startups and public agencies and as a consultant to startups seeking venture and angel financing. In these capacities, he wrote and assisted in writing business plans for presentation to investors, for internal development, and to make the business case for new ventures and acquisitions. He also was a Mergers and Acquisitions Advisor for Citigroup Geneva Capital Strategies, where he worked with owners of middle-market businesses to document and market the value of their businesses for sale or merger. As a contract executive, Ed established and managed an HR program for a multi-agency insurance firm and was Contract COO for a bi-state regional planning agency where he shifted the culture to one of collaboration, high performance and customer focus. In both these positions he specialized in talent assessment, management and development. In addition to his PhD in psychology and 35 years’ experience in organizational psychology, he is certified in administration and interpretation of the Myers Briggs Trait Inventory (MBTI), the DISC and other assessment tools. In his work, Ed has concentrated on producing organizational change while maintaining and increasing productivity and profitability by unleashing the power of people through enhanced communication, collaboration and teamwork. In addition to his work in North America, he has worked extensively in Europe, Africa, Asia, the Middle East and Australia. Ed holds degrees in Psychology and Brain Research from Cornell and the University of Rochester and is a leading-edge thinker in the area of the impact of brain function on leadership, management, and communication. A member of the Neuro-Leadership Institute, he is the author of a book, The Molecular Basis of Memory, and numerous articles on clinical psychology, organizational psychology and management, as well as the forthcoming book Gender Partnership: Beyond Equity and Equality. He has facilitated negotiations in the mergers and acquisitions arena as well as union-management negotiations and has coached CEOs and other executives in areas such as decision-making, delegation and leadership. Jennifer Krier, PhD is a coach and advisor at Seven Stones Leadership Group. She works by synthesizing multiple disciplines to bring leaders and teams some of the most cutting-edge thinking and practices in the field of coaching. Trained as a coach through Coaches Training Institute (CTI) in California, one of the premier schools for coaching, she also holds a degree as a clinical social worker, a certification as a yoga teacher and did her original training as a professional anthropologist. Jennifer offers holistic and in-depth coaching in both the for-profit and non-profit sectors. She uses her interdisciplinary approach to support clients to produce lasting positive change in themselves and in the organizations and communities in which they live, move and work. Her mission is to bring mind-body integration to the everyday culture of workplaces in order to create the physical wellbeing and thriving relationships that are critical to successful teams and individuals striving for innovation. Jennifer received her BA from Bryn Mawr College, and her PhD in Anthropology from Harvard University, where she was a Fulbright Scholar studying gender and power. In addition to her CTI certification as a Professional Co-Active Coach, Jennifer is trained as a Master Somatic Coach through the Strozzi Institute of Leadership and Mastery. Jennifer has taught at Harvard University and was an Assistant Professor of Anthropology at Cornell University. She has had her own business providing coaching for over a decade. She offers executive coaching to senior consultants through her affiliation at Mobius Executive Leadership, as well as delivering coaching with Seven Stones and participating as faculty in their Somatic Leadership retreats. 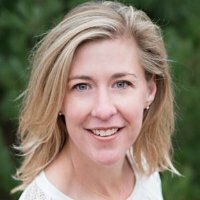 Jennifer has served as the Boston area group facilitator of the Hoffman Process Graduate Group. She is the co-author of a published play, Eve-olution, which was produced and ran off-Broadway. 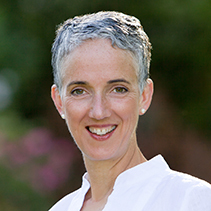 In addition to coaching, Jennifer works as a depth psychotherapist at the Danielsen Institute, and teaches yoga classes and workshops in the greater Boston area. Jennifer lives with her husband and three children in Belmont, Massachusetts. 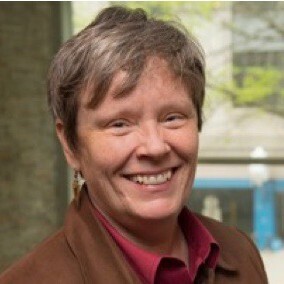 Sue Richardson is a leadership and organizational coach and consultant with Seven Stones Leadership Group. She is a coach, mediator and an experienced business executive. Her diverse background contributes to her ability to assist clients from various industries and organizational cultures. She has coached hundreds of people and draws from over 20 years’ experience as a program manager, team leader, and manager within a range of organizations: information technology, wellness, education and publishing in both social-profit and commercial organizations. Sue also has a specialty working with startup ventures. She brings a razor-sharp listening, clear thinking, compassion and humor to all of her work. Sue was a founding board member of Longwood Software, Inc., a web-based software for marketing and sales departments within manufacturing, consumer goods, business services, and high-technology companies. She is currently an officer of the firm where she participates in C-level decision making in every aspect of the business, with a particular focus on finance, administration and human resources. Sue also served on the founding board for a social-profit called the Singing Bowl. Sue earned an M.S. in Organizational Development from Loyola University in Chicago. Her undergraduate degree is from the University of Massachusetts in Finance and Economics. She studied ontology intensively for over 10 years at Landmark Education and was trained as a Certified Professional Mediator through Lakewood College. Sue is married and has a daughter. Marc Roudebush, PhD is a senior coach and advisory board member at Seven Stones Leadership Group and has 20 years’ experience applying organizational learning and leadership skills in the workplace, as a coach and senior executive. In addition to 10 years of operational management in director and senior management roles, Marc brings 10 years of full-time experience as an executive coach, trainer, and consultant to mid- and senior-level leaders in companies like Google, Shell, Bacardi, Citi, Microsoft and Cisco. Marc’s expertise includes executive coaching, team development, large-scale culture change and leading complex client service teams. Marc is also very experienced in leading train-the-coach and train-the-trainer programs. As the Managing Director for North American Programs at Explorica (a leading educational travel company), Marc drove a 400% increase in sales revenue, and led the overhaul of the company’s global brand expression and online customer experience. As a Director at Sapient Corporation, Marc led multidisciplinary teams in designing and delivering large-scale, web-based technology solutions to clients in the public and private sectors. Marc holds a social science PhD from the University of California at Berkeley, and is a certified Search Inside Yourself (SIY) instructor. (SIY is a Mindfulness and Emotional Intelligence program for leaders, initially developed at Google). Marc is certified in NLP-based coaching and is a graduate of intensive coaching programs at Newfield Network and the Action Design Institute. In addition, Marc continues to train formally with Robert Kegan and Lisa Lahey, of Harvard University, in their breakthrough “Immunity to Change” methodology. Marc has practiced martial arts and meditation since 1989. He lives in Boston with his wife and three children. He speaks fluent French. Rebecca Beauman, who goes by Becky, is our fabulous virtual assistant. She cares for our administrative infrastructure and bookkeeping, which means our client’s invoices and payments. She advises us on internal back-end functions, processes and software, and can turn around an urgent request in a jiffy. We rely on Becky for her level head and practical solutions, her kindness and compassion. We are blessed to have her as part of our team. To read more about Becky, her team and her business, Virtually Detailed, please visit her website. Suzanne coaches executives and leaders to become inspiring, on purpose, resilient, and effective in their perspective domains. Suzanne has worked as a trainer and speaker with leaders, organizations large and small, and businesses since 1979. In addition to being the Principal of UnifyingSolutions, Suzanne is dedicated to cultural diversity, social equity and social justice. Suzanne completed Leadership Training at the Strozzi Institute and earned the title of Master Somatic Coach. She applies social context and intersectionality in her work to interrupt how social norms and historical forces limit human potential. She also served on the Board of Directors of the Center for Wholeness, Co- Chair of the Ohio Aids Coalition and was an adjunct faculty member of Antioch West. Suzanne completed Leadership Training at the Strozzi Institute, (The Center for Embodied Leadership and Mastery) and earned the very prestigious title of Master Somatic Coach. She coaches executives, leaders and other coaches to become inspiring, on purpose, resilient, and effective in their perspective domains. Suzanne combined studies in pre-med, psychology, and dance/movement to attain her earlier degree in Holistic Health. She also served on the Board of Directors of the Center for Wholeness, Co-Chair of the Ohio Aids Coalition and was an adjunct faculty member of Antioch West. Suzanne created a thought-provoking Timely-Relevant Feedback survey and conducted interviews with CEOs, senior executives and managers in non-profit organizations, corporations, and entrepreneurships/small businesses. She developed a Timely-Relevant Feedback Guide and Training Manual to train the trainers for leadership and business success. The Timely-Relevant Feedback Training inspires new life into the organizations that use it. Suzanne created the Women’s’ Leadership Learning Series combining group learning with Embodied Leadership Coaching. The programming is being offered nationwide in the spring of 2010. Suzanne customizes programming for young women and has created curriculum for Capital City Charter School, Columbus School for Girls, and Dominion Middle School. Ana Sanjuan is a management consultant who specializes in working with cause-driven organizations across sectors-businesses, nonprofits, cultural, and educational institutions. She has 20 years experience supporting and advising senior leaders in educational programming, management, and leadership. In addition to serving on management teams of several organizations, Ana has extensive experience in curriculum design and delivery of adult education. Ana served as the Director of Programming and Production at The Omega Institute for Holistic Studies in Rhinebeck, NY. This role allowed her to bridge her expertise and passions in adult education, business, and holistic studies. Ana directed the design and production of 350 workshops, trainings, retreats and conferences annually. She served on the executive team of Omega, involved in strategic, marketing, and operational decisions for the center. On behalf of The University of Denver, Ana co-founded, designed and directed an award winning public humanities program, which connected intellectually curious adults with renowned scholars, artists, and business leaders. Ana also designed executive education and professional education programs for the business and law school. As a consultant Ana provides strategic planning, curriculum design, business planning, and leadership coaching. Her clients have included nonprofits such as Kripalu Center for Yoga and Health, Nonviolent Communication Mediation, the Center for Disease Control, and the National Center for Civic Engagement. Entrepreneurial clients include sunrise Solar, Cyber PR, and Partners Film Studios. Ana holds a Bachelor of Science degree from Lafayette College and a Masters degree in Business with an emphasis in Organizational Development and Leadership. She is trained Executive Coach who has been coaching entrepreneurs and leaders since 1998. Vivienne Scholl, who goes by Viv, is our graphics and aesthetic designer. She is the Creative Director behind how we package our thinking and writing, and more than that, Viv is one of our advisors and thinking partners. She takes a request for design work and sees the big picture and leads us through a creative process with the outcome of a holistic plan and approach to our body of work. To read more about Viv, her team and her business Avenue 4, please visit her website. 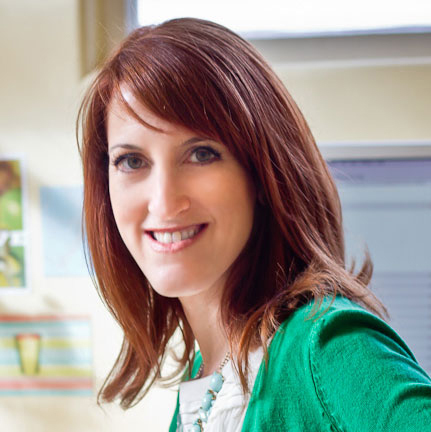 Anna has over 10 years of experience as an innovation, marketing, and content strategist. She was previously a senior member of the strategy team at a global innovation consultancy, Redscout, and prior to that was the head of strategy for Captains of Industry, a content marketing agency. In both roles, she led teams of designers, thinkers and engineers in creating solutions at the intersection of consumer insights, business challenges, cultural and media opportunities. Anna has also led projects in sectors ranging from healthcare, clean tech, nutrition, entertainment, higher education and social enterprise. Throughout her years of experience, Anna has found that getting answers might be complex, but the best strategies are often deceptively simple. Red Earth Design, Inc. is our technical consulting partner, bringing ideas and designs to life through the web. In close partnership with Seven Stones Leadership and Vivienne at Avenue 4 Design, Inc., they work behind the scenes to make our vision for the website a reality. They provide support to keep our website up to date and secure. To read more about the Red Earth Design team, visit their website. "It’s powerful and profound and focused on helping people bring their whole selves wherever they go and live and lead from a centered place of sufficiency."